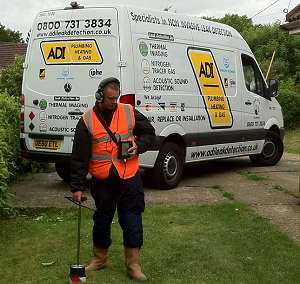 Our professionally trained leak detection engineers use non-invasive techniques to track down leaks. This means no holes and no damage to property! 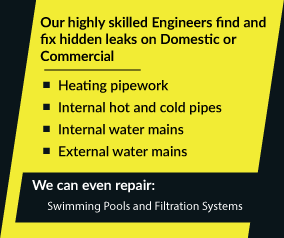 Why not call out hotline now on 08007313843 and one of our trained staff will be happy to answer any question you have before scheduling a visit for one of our leak detection engineers.